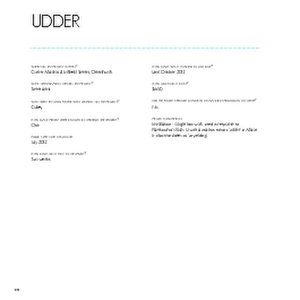 A PDF copy of pages 254-255 of the book Christchurch: The Transitional City Pt IV. 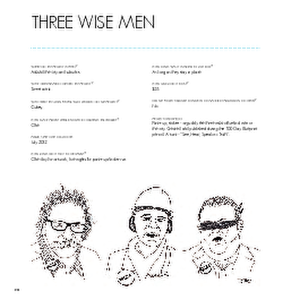 The pages document the transitional project 'Three Wise Men'. 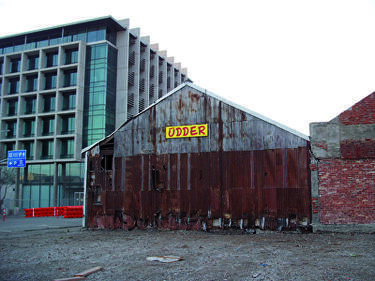 A photograph of a paste-up depicting Roger Sutton, the CEO of CERA, with a band-aid over his mouth; Warwick Isaacs, the Deputy Chief Executive of CERA, with hearing protection over his ears; and Jerry Brownlee, Minister for Canterbury Earthquake Recovery, with a blindfold over his eyes. 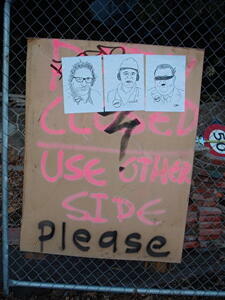 The paste-up has been stuck on a wall. A photograph of a paste-up depicting Roger Sutton, the CEO of CERA, with a band-aid over his mouth; Warwick Isaacs, the Deputy Chief Executive of CERA, with hearing protection over his ears; and Jerry Brownlee, Minister for Canterbury Earthquake Recovery, with a blindfold over his eyes. The paste-up has been stuck on a bus stop timetable. 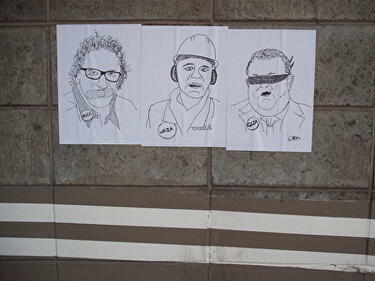 A photograph of a paste-up depicting Roger Sutton, the CEO of CERA, with a band-aid over his mouth; Warwick Isaacs, the Deputy Chief Executive of CERA, with hearing protection over his ears; and Jerry Brownlee, Minister for Canterbury Earthquake Recovery, with a blindfold over his eyes. 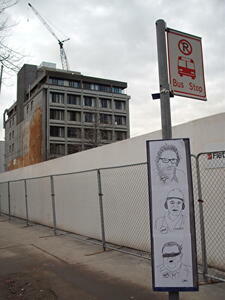 The paste-up has been stuck on a sign board attached to a cordon fence. 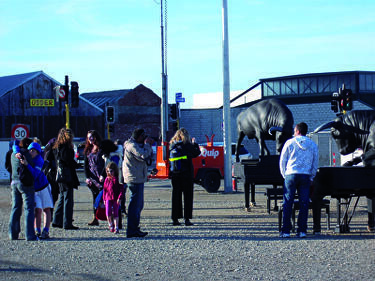 A photograph of the street art installation 'Udder'.